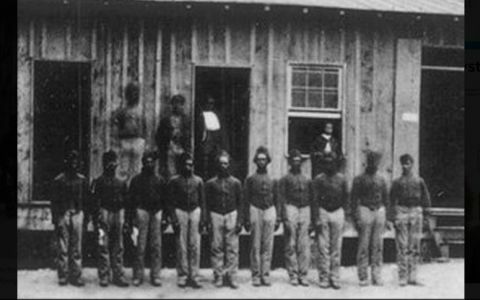 African American soldiers stood in front of the colored barracks at Camp Nelson, which was a major recruiting center for blacks seeking to join the Union Army during the Civil War. NICHOLASVILLE, Ky. — When Abraham Lincoln signed the Emancipation Proclamation to free slaves during the Civil War, it did not apply to Kentucky, one of the few slave states that did not join the Confederacy. 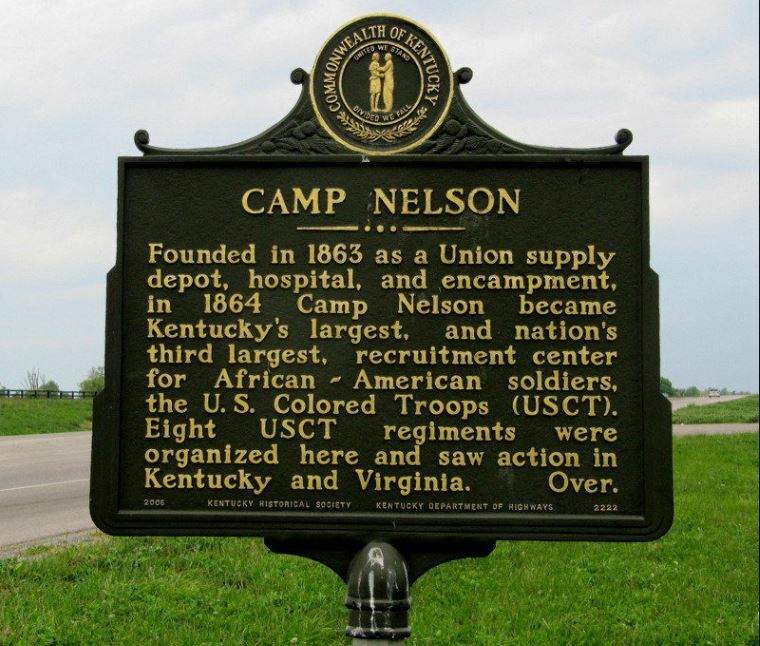 Marrs was one of about 10,000 African Americans who eventually came to Camp Nelson in central Kentucky, a Union Army depot during the Civil War that became a recruiting center for Black soldiers and a refugee camp for their families. On Saturday, the camp became the country’s latest national monument, the first area to gain the designation under Republican President Donald Trump. Camp Nelson was once 4,000 acres, used to train and supply the Army of the Ohio. Today, 525 acres have been preserved to include a museum and reconstructed buildings. Saturday’s ceremony took place in a replica barracks, where two soldiers squeezed into bunks atop of straw mattresses. One of those soldiers was Jesse Comasuell Toll, according to his great grandson, Robert P. Gates Sr.
Gates attended Saturday’s ceremony and opened it with prayer. He said his great-grandfather, who was born a free man but lived under the threat of slavery, lived at the camp and attended a church. Gates now pastors that church, the Historic First Baptist Church of Camp Nelson. “They came here because it was closer to freedom than it was to go to Canada,” he said. Kentucky has a complicated Civil War history. It never officially joined the Confederacy, but it allowed slavery and was filled with Confederate sympathizers who attempted to set up a shadow government in the western party of the state. Confederate soldiers briefly occupied the state capital of Frankfort before Union forces took it back. “At a time in our country when there are divisions, this is the real story of America,” Republican U.S. Rep. Andy Barr said. Local officials have been trying to get Camp Nelson federal recognition for years. It’s a long process, requiring the land to be transferred to the federal government and various other legal requirements. The timing of Saturday’s ceremony was fortunate for Barr, who in just 10 days will be on the ballot for re-election in a competitive district. He faces a serious challenge from Democrat Amy McGrath, a retired Marine fighter pilot who has raised more money than he has. Zinke, a former Congressman from Montana before Trump appointed him to lead the U.S. Department of Interior, told reporters the designation was not purposefully timed to give Barr a boost heading into the election. He noted he has worked with Barr on this issue back when he was in Congress. Zinke said Camp Nelson’s status as a national monument will add it to the National Park Service, elevating its profile. The camp will have its own unique stamp for visitors to collect in their quest to visit all of the national monuments and parks. And it will get a professional superintendent and staff to manage the property. That was good news for Peggy McClintock, a tour administrator at the camp who gave Zinke and other dignitaries a tour of the facility before the ceremony. She wore purple sneakers to mark the occasion. “I had to wear flat shoes today so I can tap dance,” she said.